Ima, What Are They Doing to Me? The chemical matter is infused into Maoz’s little body, and he begins to vomit and run a fever. His first chemotherapy treatment is off to a frightening start. 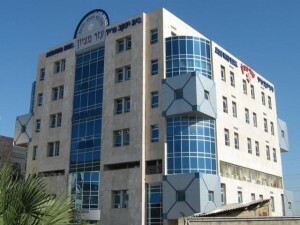 On the coming Motzaei Shabbat (Saturday evening), we will begin the first round of chemotherapy. All of Maoz’s treatments will take place in the Oncology Ward at Schneider Hospital, in the Bone Marrow Transplant section. We heard and read endlessly about this medication, which destroys everything in order to conquer the body. Maoz’s carry bag is organized in advance for a long, grueling hospital stay. I packed him up the clothes he likes best, coloring books, markers, and disks of all the children’s singing idols – everything so he will feel at home. At the same time, I pack a bag for myself too, with an assortment of outfits and head coverings. I look in the mirror and cast a fleeting glance at my jewelry and make-up shelf. I promise myself that I won’t hang around the ward in pajamas and in Nachum’s hooded sweatshirts from his army service. I will get up every morning and put myself together as if I was going out to work. We have a serious job ahead of us, I explain to myself, and we’ve got to maintain our sanity. Nachum completes the Havdalah (prayer at the end of the Sabbath). “Baruch atah…hamavdil bein kodesh l’chol.” Shavua tov! May it be a good week, with good news! –. By nine, we have to be at the ward. It feels as if there is a dead weight on the body, everything is heavy, even our smile has kind of wilted. Fear takes over. The glass doors open and we cross the threshold with our suitcases. The elevator takes us up to the seventh and top floor and we enter the ward. We have now entered a different world. From that point, everything goes into high speed. We get settled in the isolation room. Maoz is hooked up to fluids and they immediately take all his vital signs. Everything follows a precise timetable like that of a major military action. I begin to get used to the reclining armchair. The room is closed and there is not a drop of fresh air. At eight in the morning, the doctor comes in with the nurse and the chemo delivery – a small bag marked with a warning in big letters that makes my entire system tremble. I try to understand how such a small amount of chemical matter can do battle with such a stubborn cancer. Just a half hour later, I already understand. For a moment, Maoz looks to me like a tiny, helpless laboratory mouse. It begins with nausea and continues on to non-stop vomiting. The substance drips into his little body, and I look at the suitcase full of cheerful, festive clothing that I brought for Maoz and for me. I shove it aside, pulling hospital pajamas off the shelf instead. There is no choice. The chemicals are doing their job and these are the side effects. We have to accept it all with love. I look at Maoz, stuck in the isolation room, and search for the courage to ask him if he knows what is going on around him, if he understands that this chemical matter, marked in big letters, “Danger!” is what is supposed to save him from the illness, if he understands what exactly we are fighting against. During the treatment, a therapist walks into the room. She reviews the protocol. Routine. Doctors, nurses, blood bank workers. Everyone passes through in a set routine, 24 hours a day. This place works without a stop. The time ticks past. One substance finishes and the next one is hooked up. Every bit of fever gets the whole system on its feet.